The Mini Dozier Folding Hunter knife is a smaller size of the award winning lock back, designed by Bob Dozier. 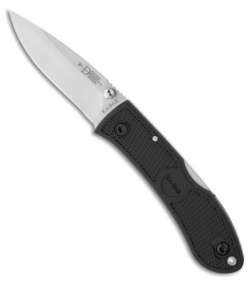 It features a satin finished AUS 8A stainless steel drop point blade with an ambidextrous thumb notch hole. 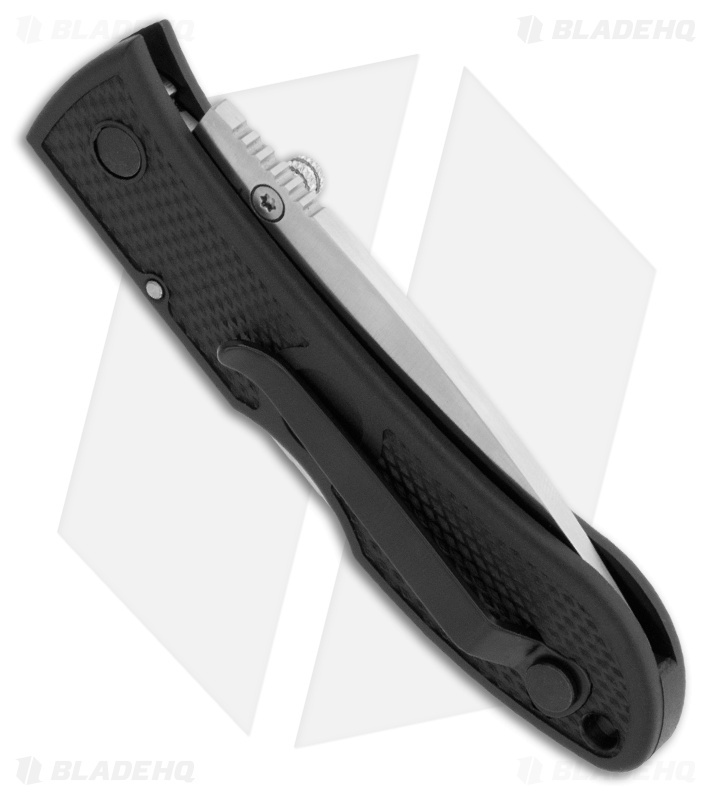 The handle is textured black Zytel, known for its high strength and low weight properties. The locking mechanism is a strong and dependable lock-back design. The lanyard hole and reversible tip-up pocket clip make this a great knife for everyday carry. Great small, thin, and lightweight knife. I love budget knives and I own both the regular size (blue) Dozier and this mini. Although this knife is small, it performs great as a light duty everyday carry knife (cutting tags, packages, opening mail, etc.) It is super light and thin, which works great for ladie's pant pockets or the third pocket of men's jeans. It would also be a great starter knife for a young person.